For mobile operators delivering services like Wi-Fi Calling over untrusted IP & Wi-Fi access networks, there is a need for scalable, cost effective secure, policy-based access control. However, traditional hardware-centric solutions can be capital and operationally expensive to scale. Accuris new software-based DGW is unique in the industry. 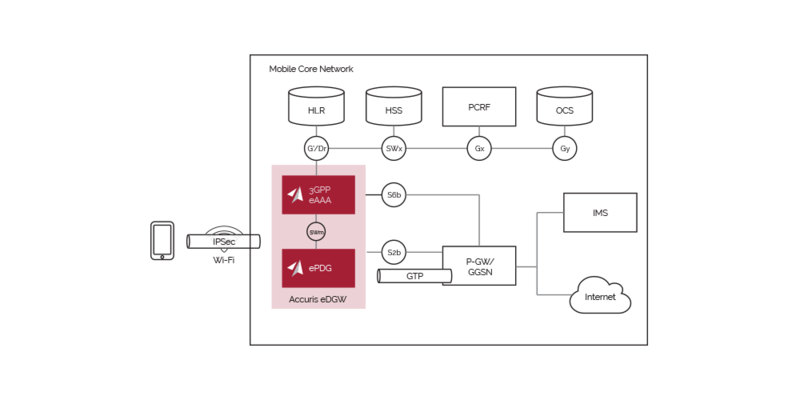 Achieve software-centric scalability with Commercial Off-the-Shelf (COTS) hardware. In fact, Accuris invites service providers to “Bring Your Own Hardware” – source from a key supplier, source from Accuris – either way this is the most agile, flexible Data Gateway on the market today. * Performance based on average COTS platform, higher performance platforms will result in greater capacity.